After finding the best pickle in New York City, my friend was now after the best chocolate chip cookie. According to her Californian rabbi, the best chocolate chip in the world could be found on Manhattan on the Upper West Side. 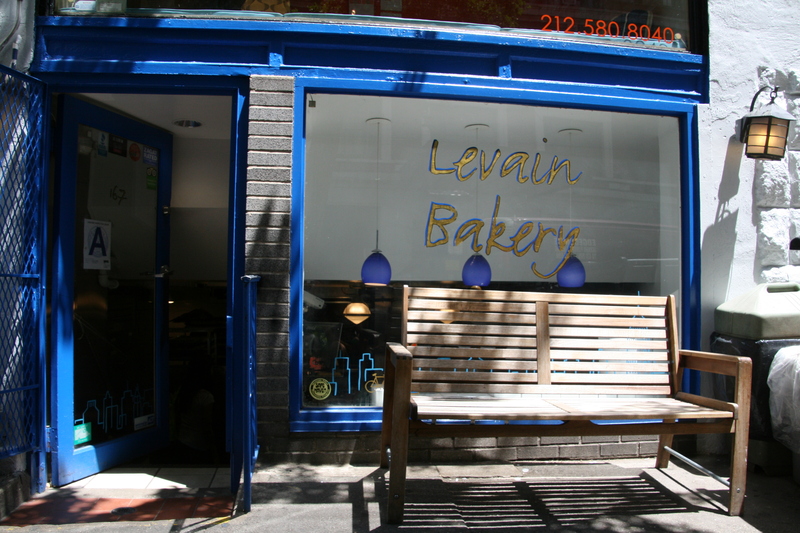 One morning in June, we met at Levain Bakery on West 74th Street to try a cookie. What we discovered: the cookies are large, easily two servings worth, which helps justify the cost of $4 per cookie. Full of chocolate, the cookies contain walnuts as well (watch out all of you with tree nut allergies). Gooey on the inside and firm on the outside, the cookies are not crisp and their flavor exudes butter. 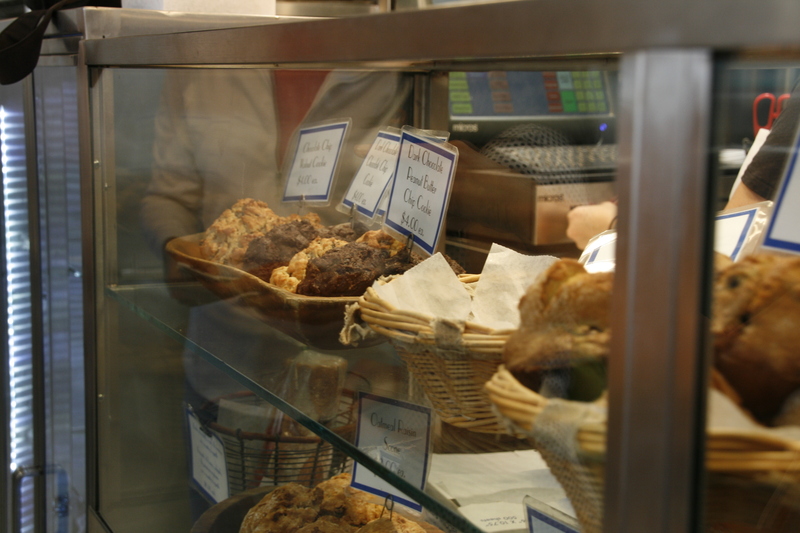 The bakery sells more than just chocolate chip cookies. 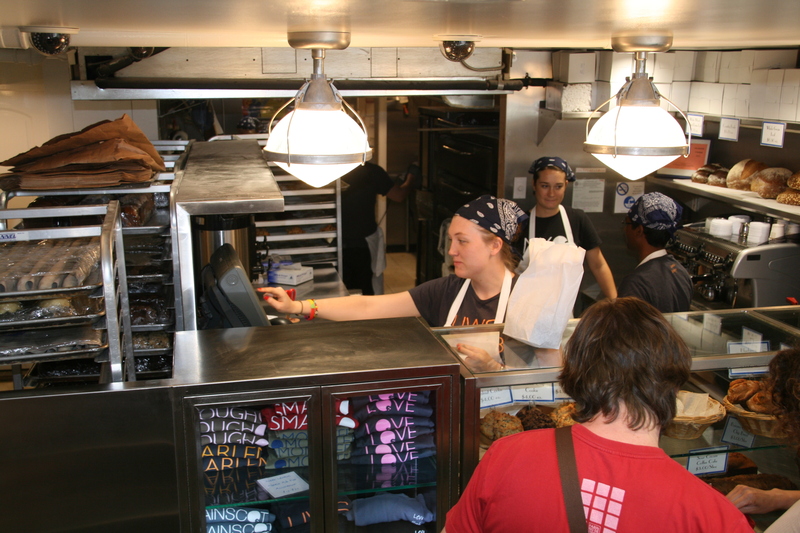 Besides other cookies, the bakery sells bread, sticky buns, and other sweet items. Since we didn’t try any other chocolate chip cookies in New York, I can’t confirm whether Levain Bakery makes the best chocolate chip cookie in the city, the country or the world. But I agree with the rabbi, its cookie is definitely in the running. Food, New York City, New York State, U.S.